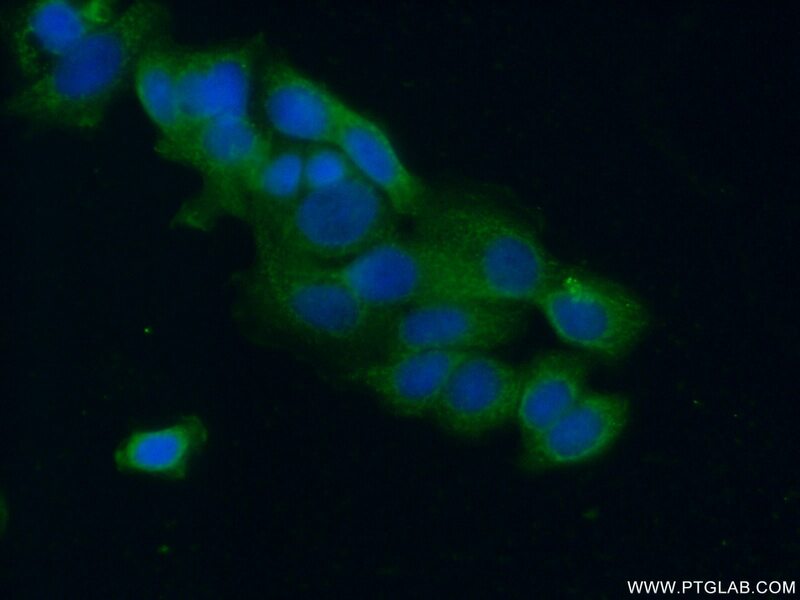 IP Result of anti-GAB3-Specific (IP:20089-1-AP, 4ug; Detection:20089-1-AP 1:2000) with MCF-7 cells lysate 3200ug. 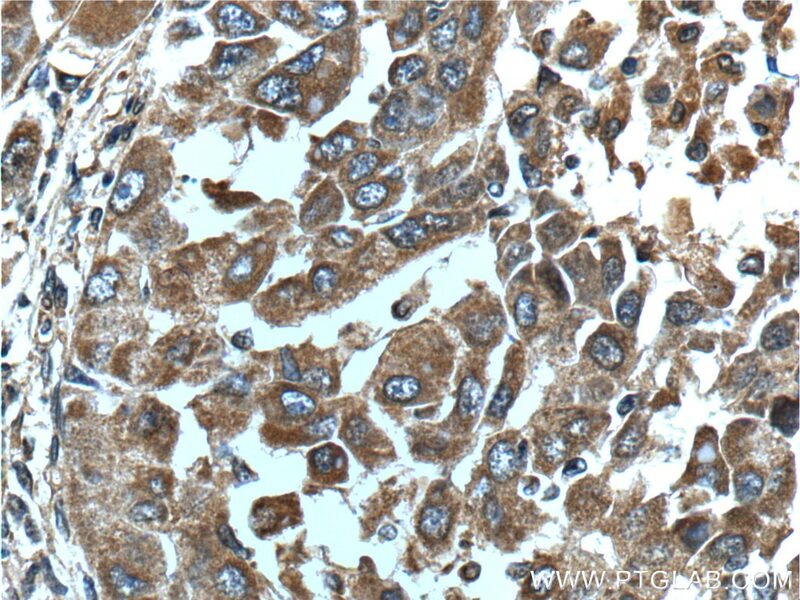 Immunohistochemical analysis of paraffin-embedded human liver cancer tissue slide using 20089-1-AP( GAB3-Specific Antibody) at dilution of 1:200 (under 10x lens). 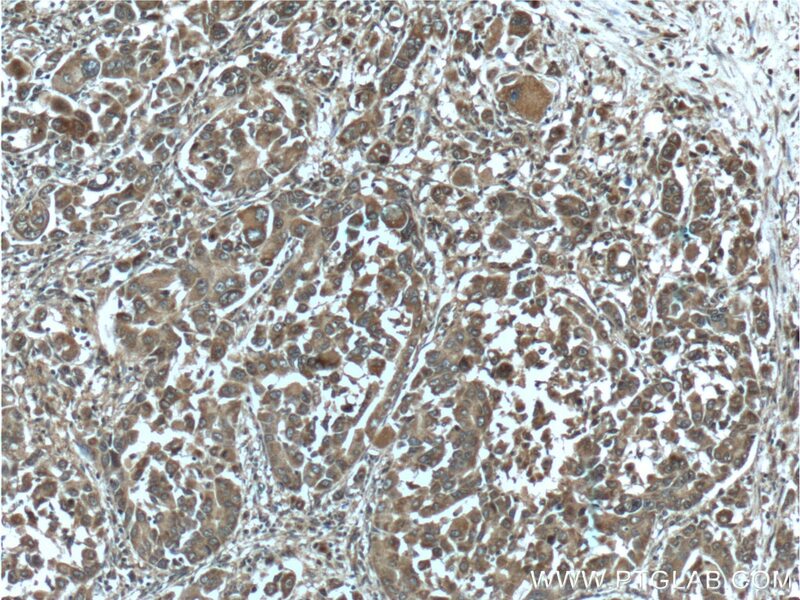 Immunohistochemical analysis of paraffin-embedded human liver cancer tissue slide using 20089-1-AP( GAB3-Specific Antibody) at dilution of 1:200 (under 40x lens). GAB3 belongs to the GAB family. GAB3 interacts with PIK3R/p85, SHP2 and GRAP2/MONA. It may interact with Grb2. 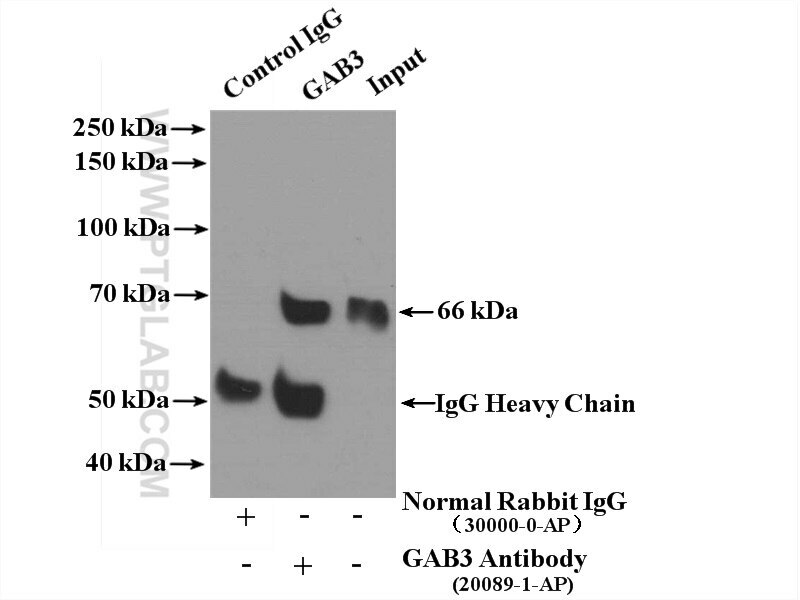 The antibody is specific to GAB3.